I did a ADA kitchen and a master bath for a family whose mother was in a wheelchair. (ADA means that it is wheelchair accessible and has to meet certain code requirements.) She wanted as much mobility worked into the kitchen so she could still take care of the cooking while keeping the kitchen "normal" for everyone else. This island is full of great feature and is designed with function in mind. FUNCTION: Pulling up to the sink is hard for a wheelchair, so we installed kick-in doors. These stay open while she is working and just a tug will allow them to easily spring back into place. FUNCTION: Since under the sink was not an option for cleaning supplies we used a pullout spice cabinet to keep them in on the right. and an little hook for dish cloths. FEATURE: On the left we have a double drawer dishwasher, this make doing dishes easy. FEATURE: This island features a regular height counter top, bar height for guest seating and table height for the wheelchair when she allows others to be in the kitchen, she can still feel part of the conversation. 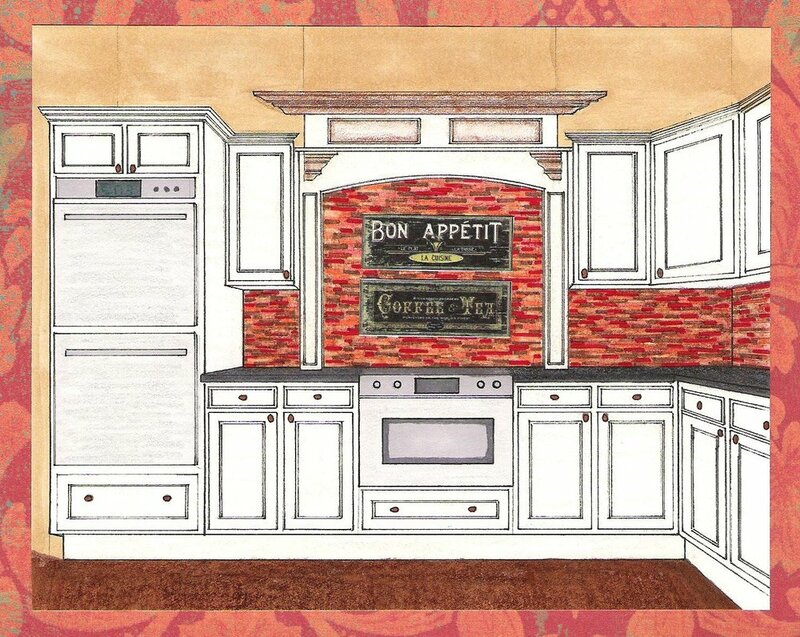 An ADA Kitchen that works for everyone. Reworking the floor plan not only opened up the room but allowed us to create a better workflow. We worked very carefully and came up with smart solutions and workflow for her. FUNCTION: Starting at the refrigerator, she can pull out everything she needs and set it to the left. 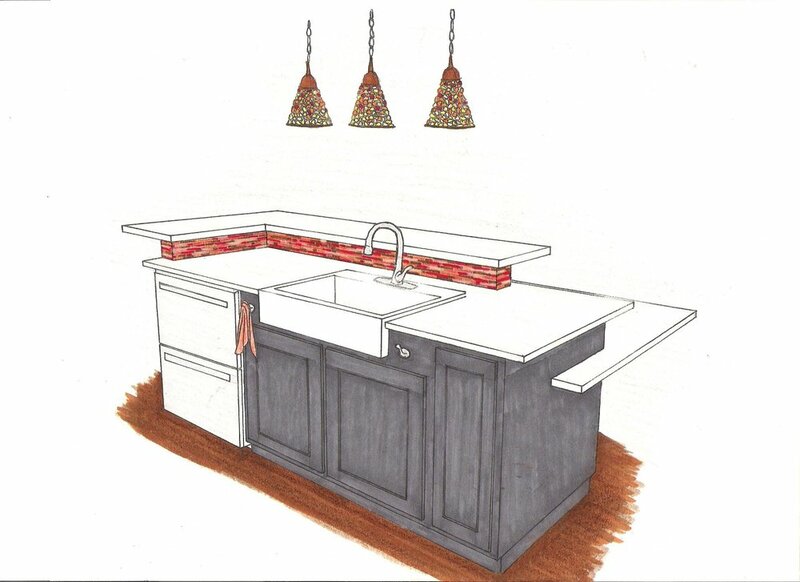 There she has a small bar sink and an under counter pull-out cutting board for prep work. She shifts to the left again to cook at the stove. After cooking, a quick swivel and she can place the dishes on the island for washing. FEATURE: We placed a drawer microwave under the cook-top so she could access the microwave easily. The double oven is in a full-size cabinet out of the traffic area. FEATURE: One of the requests she had was to have a coffee station that was not within the kitchen triangle, so we put it to the right of the refrigerator to make it easy for everyone to get beverages.